These days I prefer to cook very easy recipes and get out of the kitchen quickly. 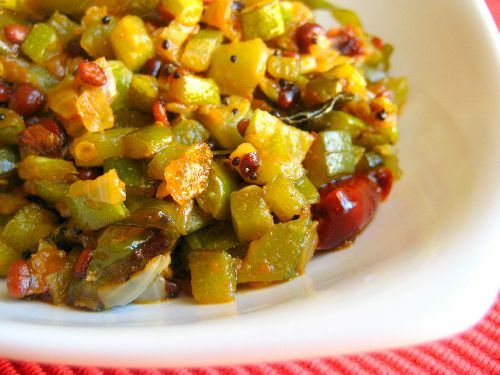 I usaully take this along with Chapathi but goes well with Sambar Rice/ Rasam Rice or Curd Rice. 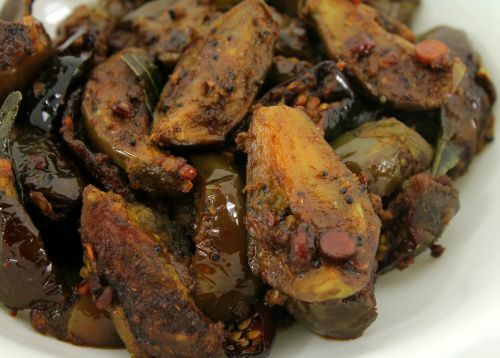 This can be made with any variety of brinjal/ egg plant whichever is available based on season. 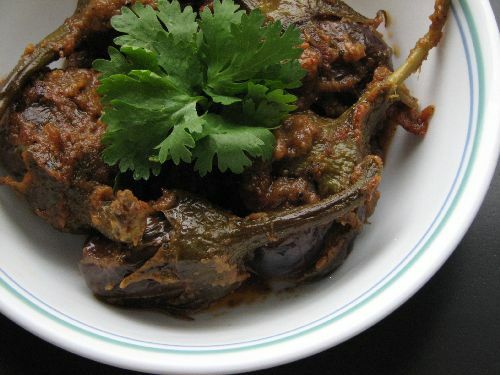 Clean brinjal and cut them into bite size pieces. In a pan heat oil, add mustard, split urad dhal and channa dhal. When mustard splutters add the red chili, curry leaves. 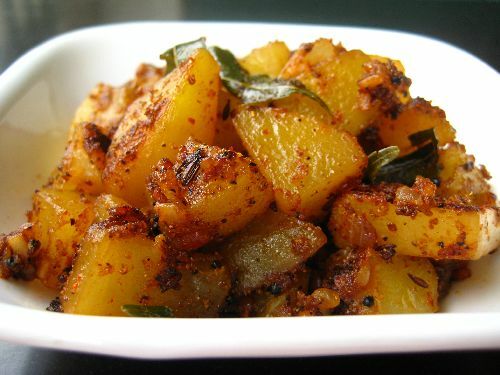 Add asafoetida and fry for 2-3 seconds. 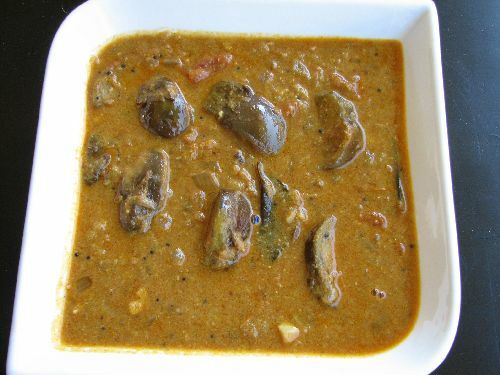 Add the brinjal, sambar powder, red chili powder, coriander powder, turmeric and salt. Fry this in slow flame for 20-30 min until it’s done, no need to add or sprinkle water. Stir it often so that the masala gets mixed evenly. 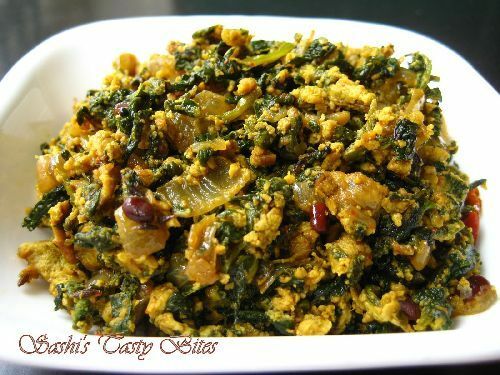 (*) Enjoy this with white rice or chapathi. 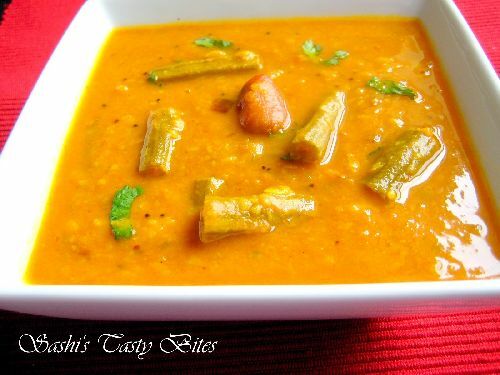 Excellent recipe sashi…….came out dooo we’ll,my hubby liked it so much,thx fr such a yummy recipe!!!! My mouth is watering while seeing all the recipes in your site. Thank you so much for uploading. I tried many recipes its awesome taste. Thanks Revathi. I haven’t made that in a while, sure will add it soon. 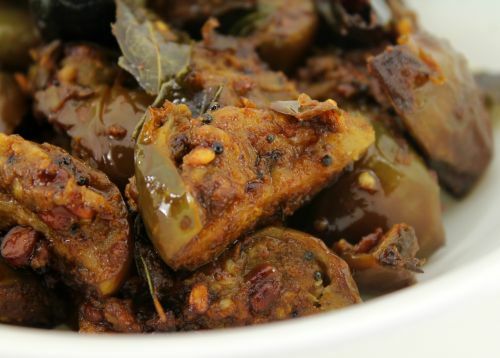 Brinjal fry is suitable for chapathi and will match with Rasam Rice. Looks good. How many onions to use? Oops!! added by mistake. No onions added actually, updated the recipe as well. Omg, super inviting fry,just makes me hungry.. This fry is one of our favourites in our house! Yum!